There are also a variety of outside vendors showcasing on their runway at the beautiful ExchangeLA location downtown on Spring St.
2012: Rock the End is an event that is one hundred percent student run. The students are responsible for booking the venue, fashion designers, scouting models, entertainment, talent, as well as finding sponsorship from various business and raising money to put toward the event. 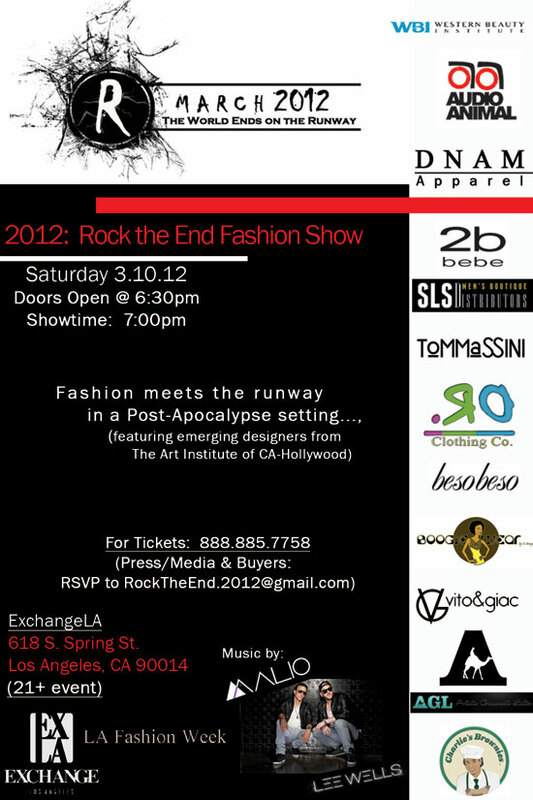 See flyer below for more info., and LAFW calendar.